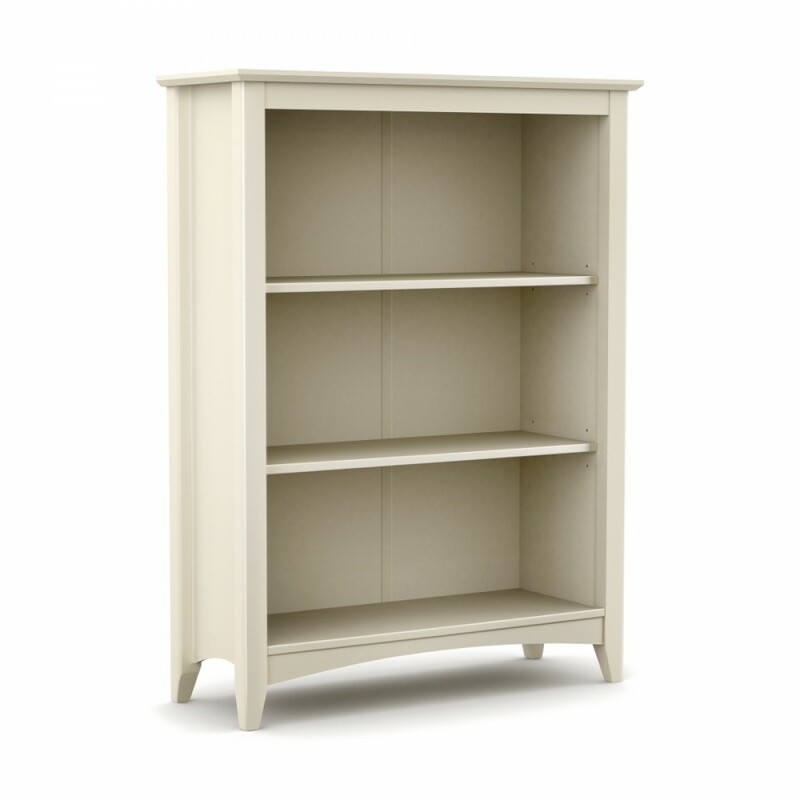 The Cameo bookcase is in a shaker style and is a perfect addition to any room. The stone white lacquered finish gives a clean classic look and can be matched with any decor. There are two adjustable shelves and a base shelf. The adjustablibilty allows for different sized books ad items to fit onto the book case. Тhe Cameo bookcase is supplied flat pack but is easy to assemble using the instructions provided. The Cameo Stone White Bookcase is part of the Cameo Nursery, Cameo Children's and Cameo Bedroom Collections.